Texas is a state rich in history. However, one aspect of that history which is often overlooked is the state's military history, specifically the battles which were fought in Texas during both the Texas Revolution and the Mexican/American War. In these two wars, both of which occurred in the mid-1800s, a number of important battles and numerous smaller skirmishes took place in Texas. Today, it is still possible to visit many of these battlefields. Some have been preserved as historic sites, while others have not. In either instance, it is still possible to get a feel for where the battle took place. Through the years the Alamo has become such a popular tourist attraction that it is easy to forget what made it famous, to begin with. But, as most people know, this old mission was the site of the infamous Battle of the Alamo during the Texas Revolution. Although Gen. Santa Anna and the Mexican Army won the battle in overwhelming fashion, it became a rallying point for the struggling Texan army which, obviously, eventually won the war. Much of the Alamo's mystique comes from the men who died defending it. 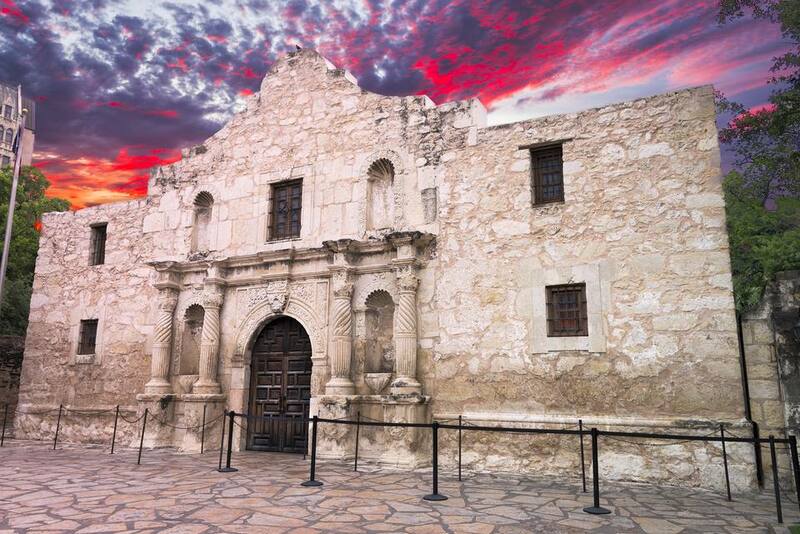 Luminaries such as Davy Crockett and William Barrett Travis were among the slain Alamo defenders. Today, the Alamo is owned by the State of Texas and operated by the Daughters of the Republic of Texas and is open every day of the year except Christmas Eve and Christmas Day. Maybe not as famous as the Alamo to the outside world, San Jacinto is certainly dear to Texans as this was the site of the decisive battle that ended the Texas Revolution. The Battle of San Jacinto, which took place on April 21, 1836, won Texas its independence from Mexico when the Texan Army, commanded by Gen. Sam Houston, captured General Santa Anna – Mexico’s dictator and leader of the Mexican troops. Located a short distance from Houston, today the battlefield houses the San Jacinto Monument and Museum and is open to the public seven days a week. The Battle of Palo Alto, which took place on May 8, 1846, was the first battle of the two-year conflict known as the US/Mexican War. The site was designated as a National Historic Landmark in 1960 and a National Historic Site in 1978. Today, the 3,400-acre battlefield is the only unit of the National Park Service that has a primary focus on the US/Mexican War. The battlefield and historic site, which are located just outside of Brownsville, are open to the public seven days a week with the exception of Thanksgiving, Christmas and New Years. The first military action of the US/Mexican War was actually an artillery exchange between the US troops at Fort Texas and the Mexican troops across the river in Matamoros. Fort Texas, later known as Fort Brown, survived that bombardment as well as the war and remained an active US military post until after World War II. Today, portions of Fort Brown are on the University of Texas-Brownsville campus and the Fort Brown Golf Course. On October 9, 1835, the first offensive action of the Texas Revolution took place in Goliad. Two months later, the first 'Declaration of Independence' was signed in a Goliad mission. In 1836, Col. James Fannin and 341 Texan soldiers captured following the Battle of Coleto Creek were executed in what became known as the Goliad Massacre. Today the site of the Battle of Coleto Creek is preserved as a state historic site - the Fannin Battleground, which is part of the Texas Independence Trail.